Being able to travel is something I'm very blessed and grateful for; more so in recent years. You can say I have an appetite for wanderlust, so when I received news that I was going to be flying to Maldives right before my trip to Japan, I was ecstatic. But with two trips back-to-back, that meant a lot of work needed to be cleared before that so time seemed to fly by really quickly. 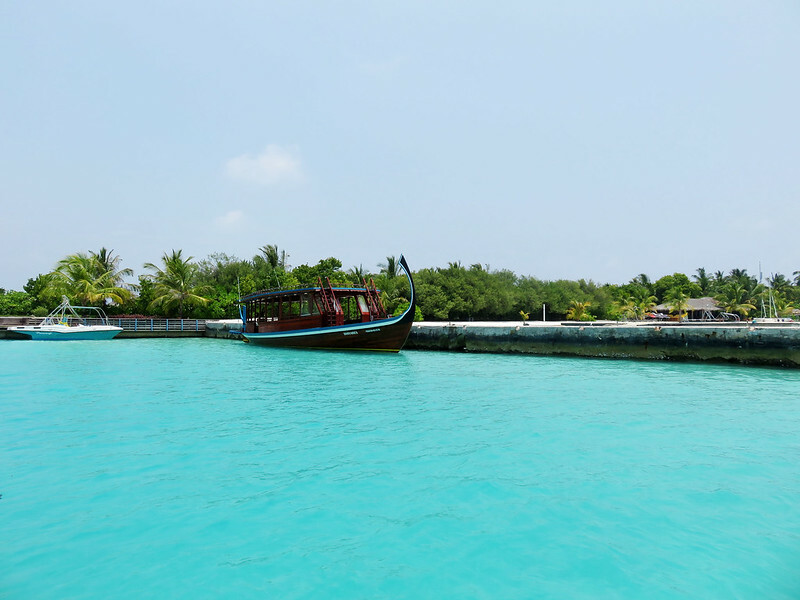 Before the realization of heading to one of the most sought after beach holiday destinations managed to set in, I was already on a boat heading to our island in Maldives. The bright, blue seas was a stunning wake-up call and it was then that I thought to myself, "Holy moly, I am finally here in Maldives. I am really here now". 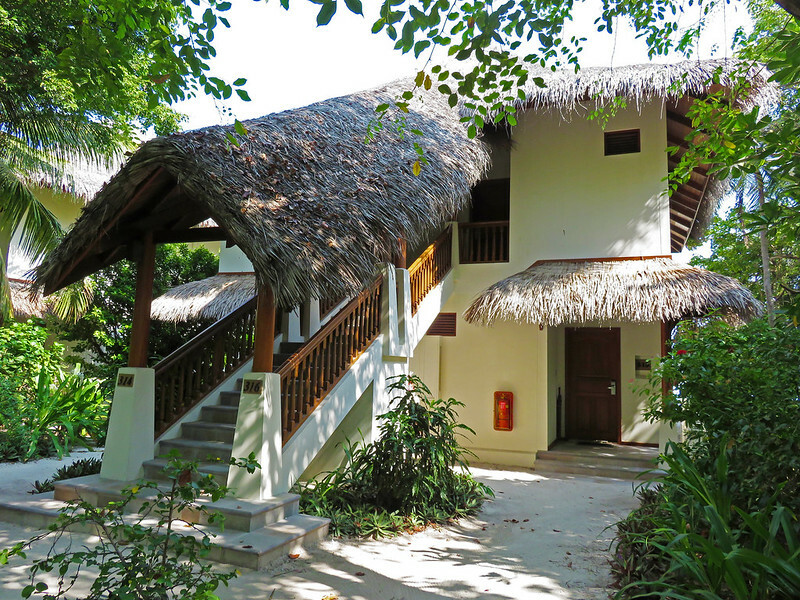 I traveled with two travel companions and we were set to stay at Sheraton Maldives Full Moon Resort & Spa for 6D5N. In Singapore, time seems to pass really fast but when I was in The Maldives, it was really amazing how we were not able to tell how many days had passed. Time seemed to slow down and it felt good to finally take a break from the fast-paced environment we live in. The trip was so relaxing and rejuvenating. It was real enjoyment at its best. 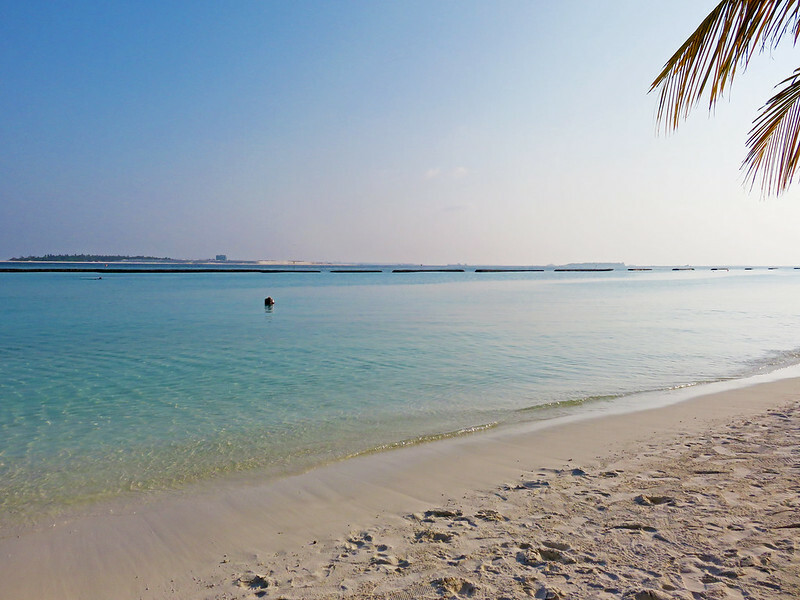 Since going, I've had people asking me about my trip and what there is to do in Maldives. I've added in a short segment below on my thoughts. Hopefully it will help you if you're keen to plan your next holiday there. 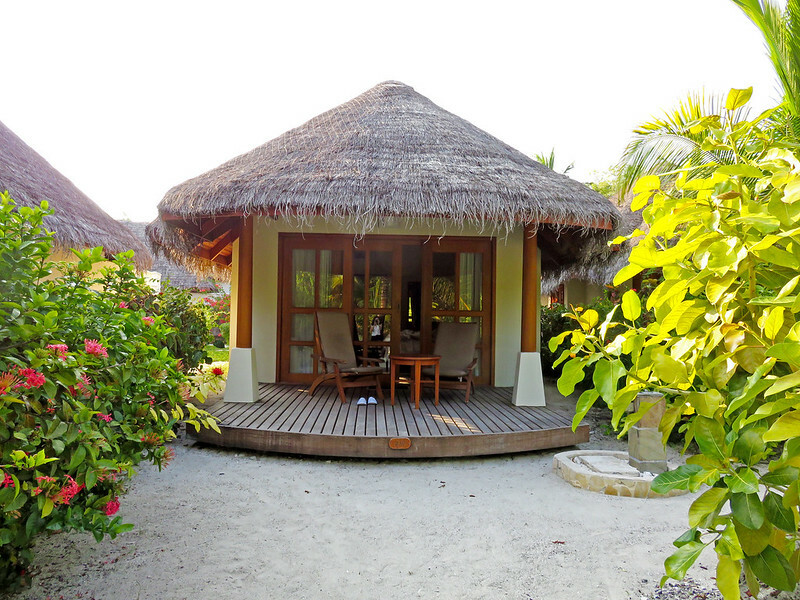 I find Maldives is best enjoyed with a total stay of five days. 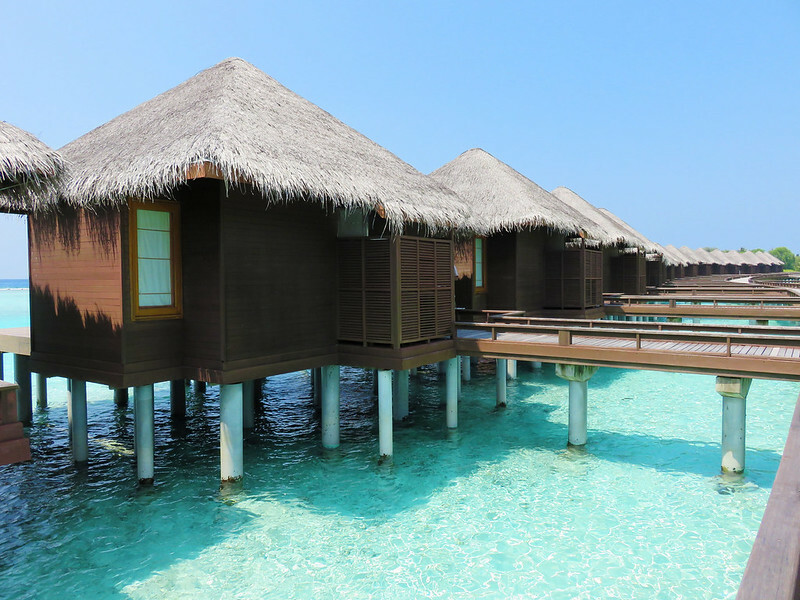 How should it be enjoyed would be putting aside the first day for unwinding in your beautiful resort room, lying in the luxurious and soft sheets or head down to the beach with a book in hand. The second day can be spent exploring the island and resort with a camera, documenting the memories of the picturesque azure blue seas with cotton candy skies. 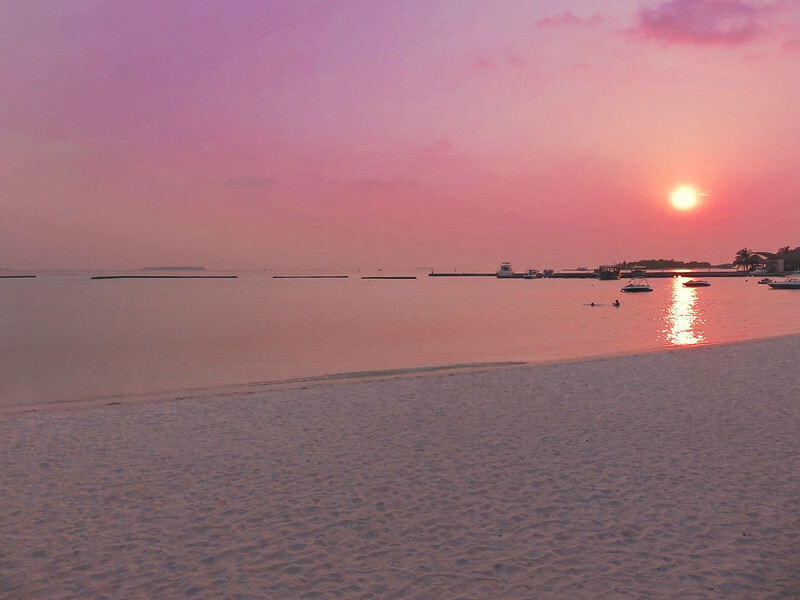 Spending your evening relaxing on a sun bed or taking a relaxing stroll with the sand between your toes, while watching the glorious sunset. 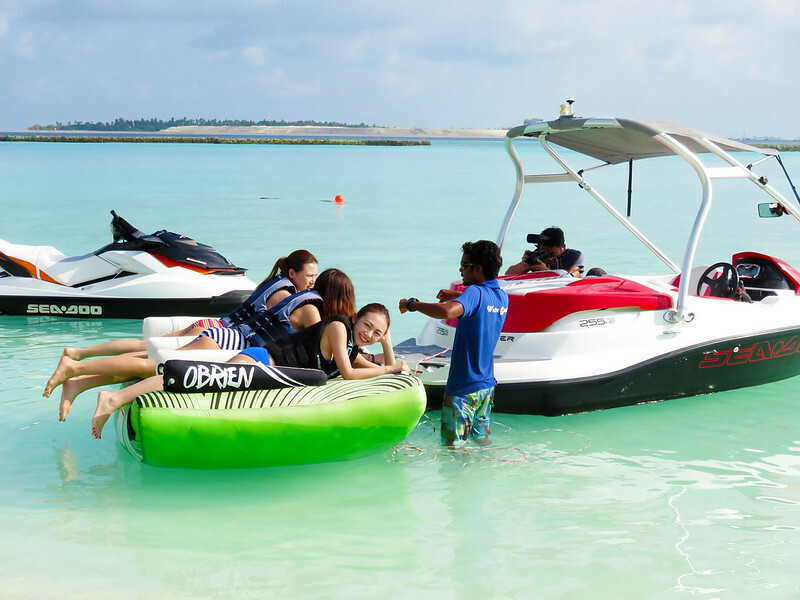 By the third day and fourth day, you will find yourself pumped up and ready for water activities. 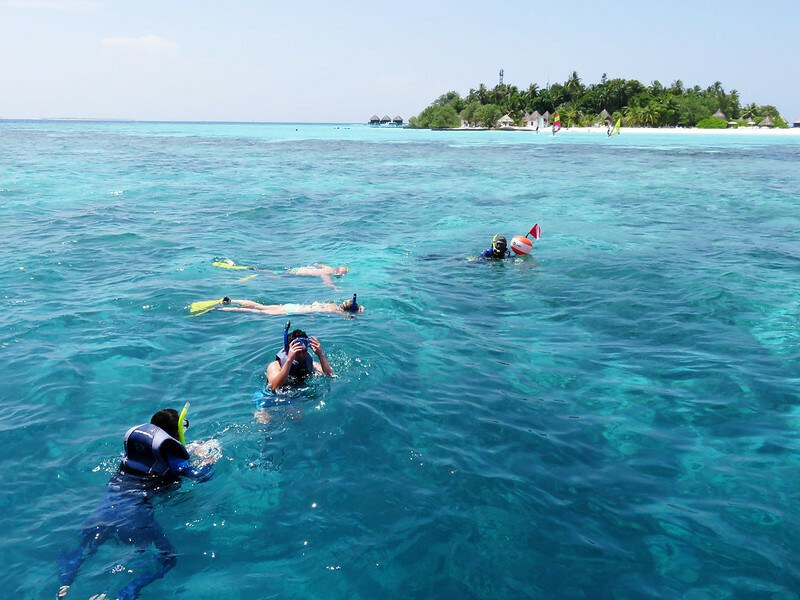 You go snorkeling out in the blue lagoons, participate in water sports, sunset fishing, dolphins-watching or even play beach volleyball with your friends. Then comes night time where you go for meals at the restaurants on the dry land sampling the traditional Maldivian cuisine. 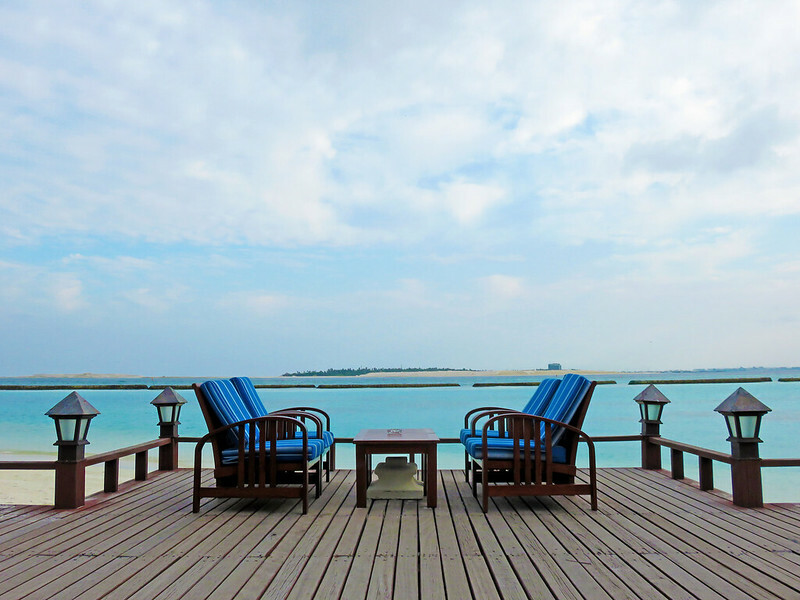 By the last day, you will find it hard to leave this dream destination. With such beautiful surroundings, we wasted no opportunity to snap shots. Before I begin with pictures, allow me to do a little intro on a reliable and impressive travel buddy who did a great job in snapping uhhhhhh-mazing shots for this trip. 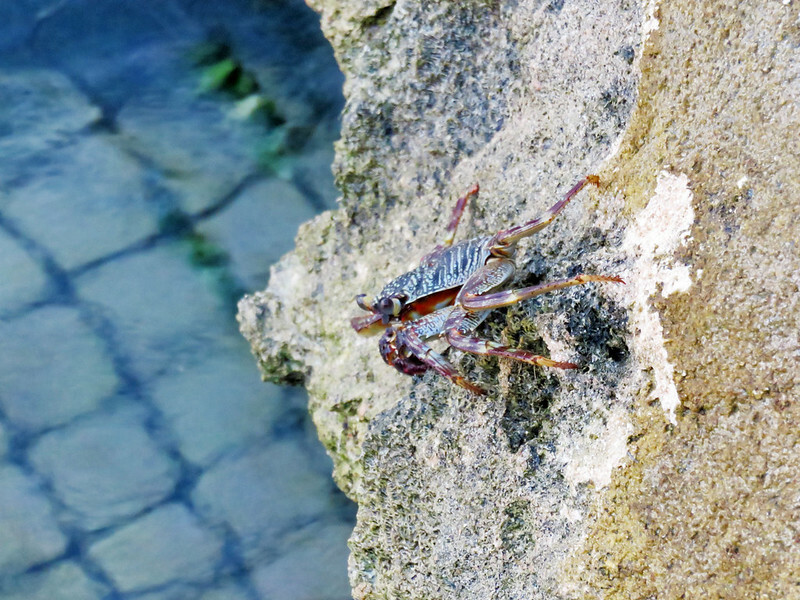 The Maldive photos in this post are all shot using this Canon PowerShot SX700 HS. 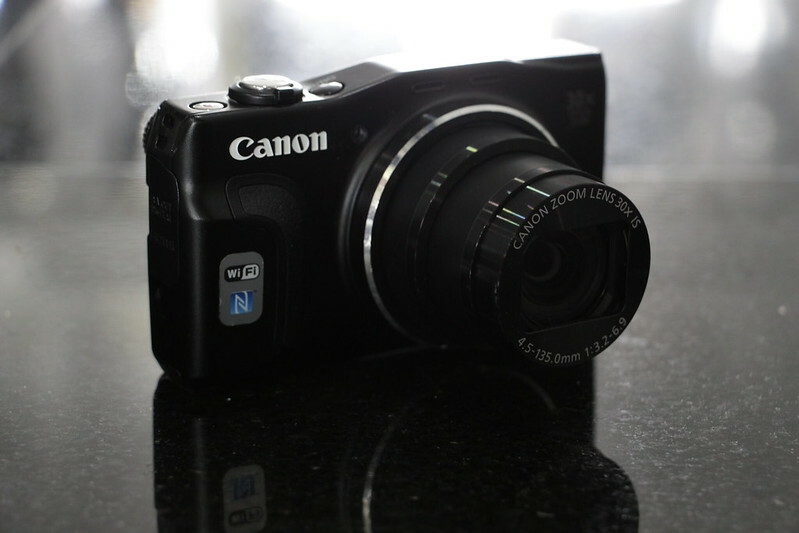 Thanks to Canon, I was able to try this travel-friendly compact camera with powerful functions packed into it. In all honesty, I didn't think this compact camera would be this impressive! 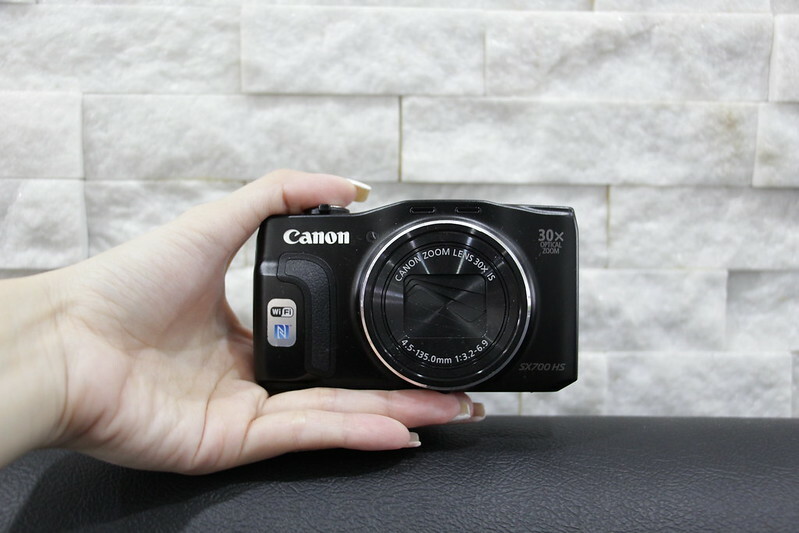 Some of the key features you'll find on this camera is it has all of Canon's automatic and scene modes, it records high-quality videos in Full HD format and it has the latest DIGIC 6 processor which helps ensure your image is clear and stabilized. It also has Wi-FI and NFC built in to allow immediate sharing of photos, which I personally think is very important in any camera devices now. Other than all those features mentioned above, what really took my breath away about this camera was the crazy 30x optical zoom function. The image stabilizer on this was highly impressive as well. You'll understand what I'm talking about later on in this post. I love how most of their restaurants were all strategically placed right next to the sea. The antique looking boat that brought us out reef snorkeling. It's powered by a motor and does not have an anchor. The Maldivians do quite a bit to ensure that their coral reef is highly protected. Remember how I was talking about the magnificent zoom and photo processing the PowerShot SX700 HS had? We used the zoom function for this shot as we wanted to get a bokeh effect (clear subject with a blur background). This was how far I really was! 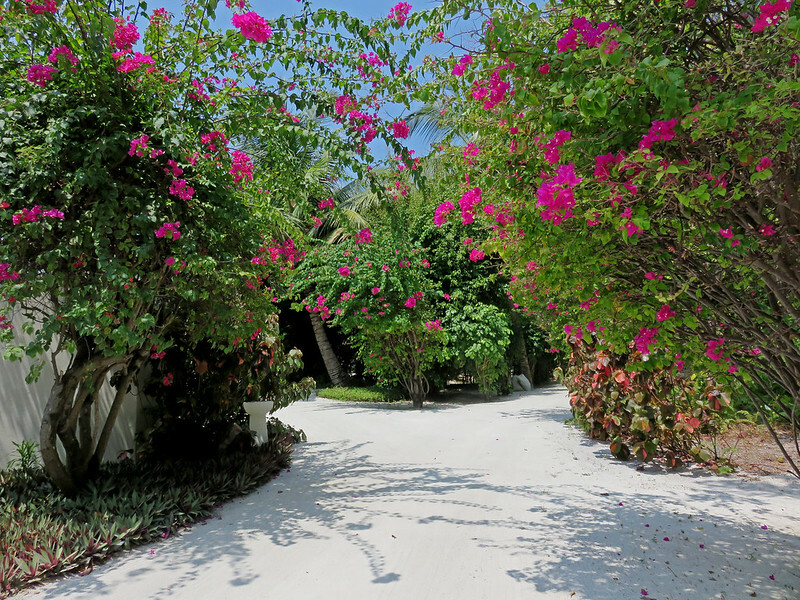 If you stay in a resort in Maldives, it would probably be the one providing all the activities. Our resort had daily excursions for different activities, e.g. 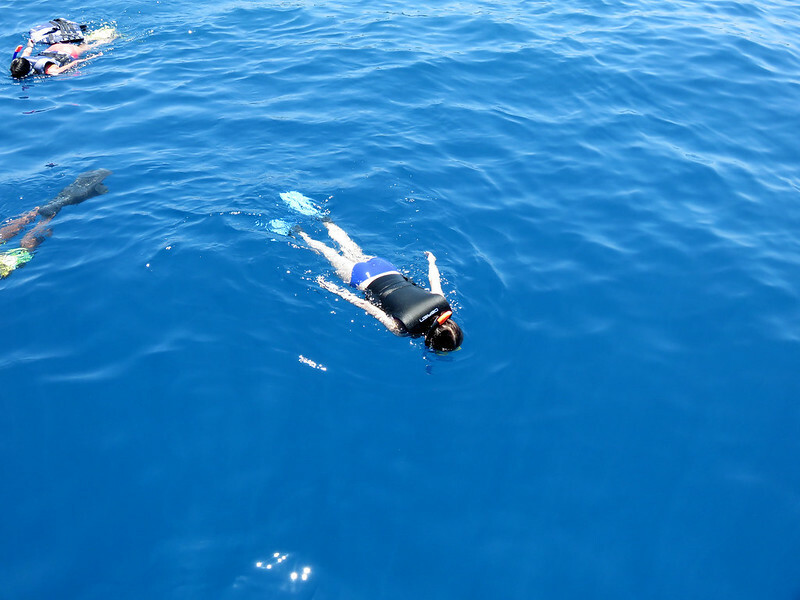 Reef Snorkeling, Local Island Experience, Capital City Tour, Fishing and Sunset Dolphin Cruise. 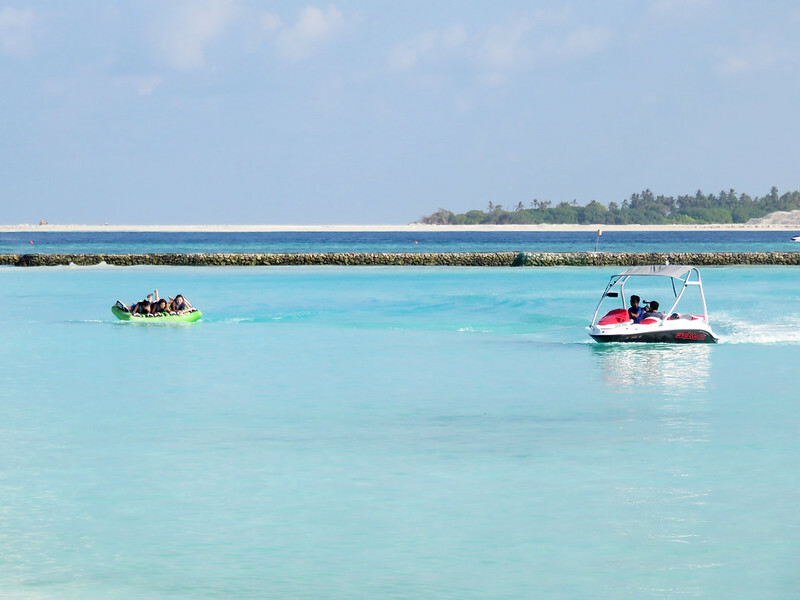 It also had other water activities such as Banana Boat Ride, Fun Tube, Parasailing, Water Skiing, Jet Skiing and more. The prices ranged from USD 50 - USD 400 per pax for each activity. We had to take a 45-minute boat ride out to the middle of the ocean to visit a spot with beautiful colorful coral reefs. Ah, speaking about the coral reefs, I just have to kick myself again for not bringing an underwater casing for my camera! :( Jumping into the sea with my snorkel and fins, it felt like I entered the world's best marine aquarium! Reiterating how much I love the zoom on this camera, this was me a distance away from the boat. And this was me zoomed in from the same distance! This spot where we snorkeled and saw gorgeous coral reefs that grew deep into the valleys in the sea was actually near a certain resort (which you can see from the picture above) - this means, if you stay at this particular resort, you are one lucky human. 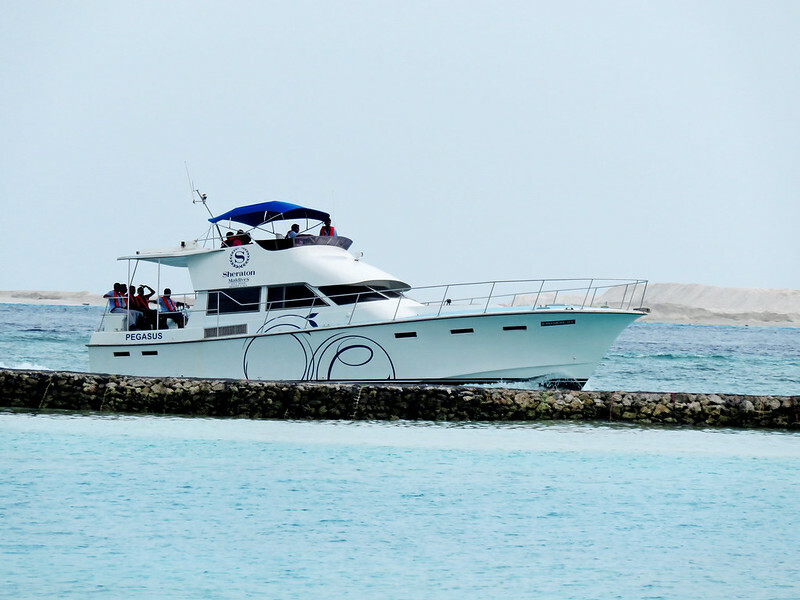 You get to snorkel out daily without paying for these boat rides to admire the reefs and swim with pods of fishes! 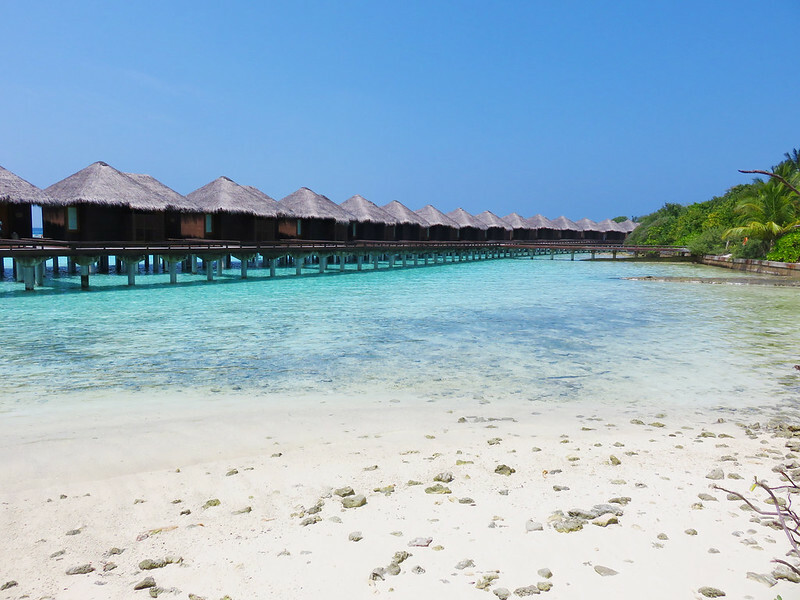 There are different spots in Maldives marked out for coral reefs, spots where you can spot sea turtles, reef sharks, and spots where you can see colorful schools of fishes. So make sure you do your research to determine how far is your resort from these and what can the marine underwater world offer you close to your resort! 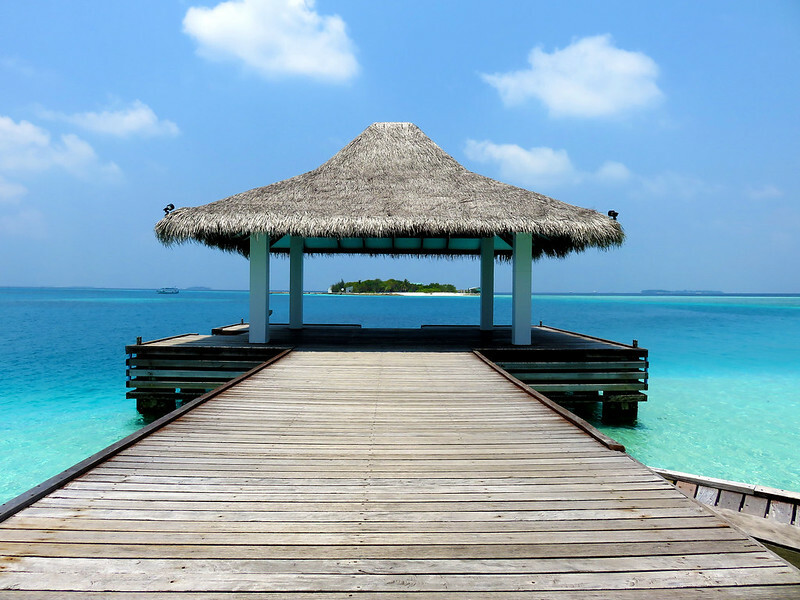 There are a total of 1200 coral islands that make up Maldives so you have a huge selection from about 150-180 self-contained hotels/resorts in their private islands! 2. 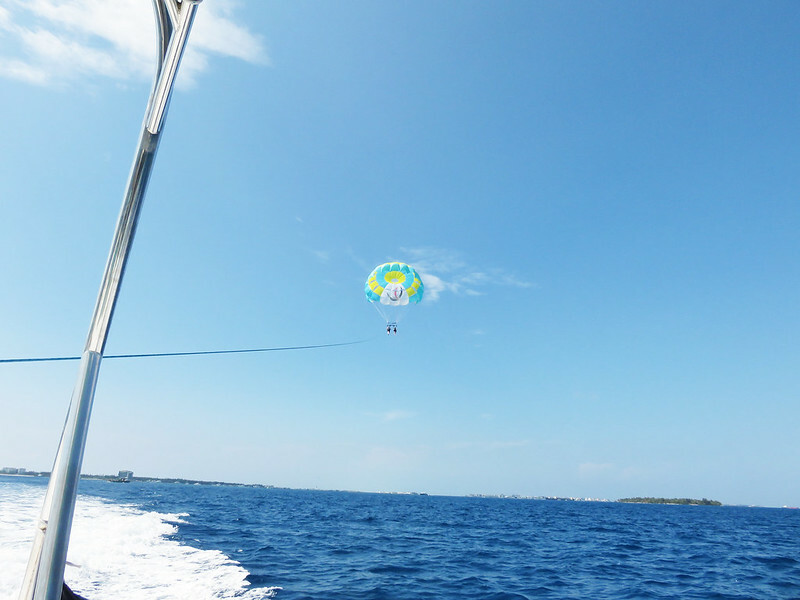 Parasail into the skies and see beautiful gradients of azure blues and coral atolls out in the sea. 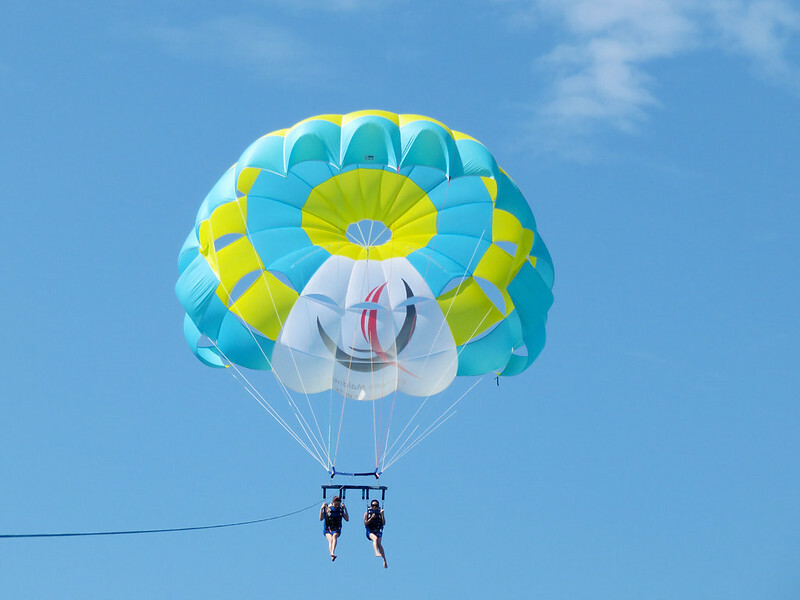 Since the last time I missed out on parasailing in Boracay, I felt like I had to do it this time. Unfortunately, they did not have any evening time slots which allowed us to get sunset shots so we settled for one early in the morning. Again, you can see from the zoom function that the quality is really good. A pity I didn't bring the camera up with me. Would have loved to show you the magnificent view from above. There were different blues of the sea, patches of darker brown spots which were corals and each darker gradient of blue told you the depth of the sea. 3. 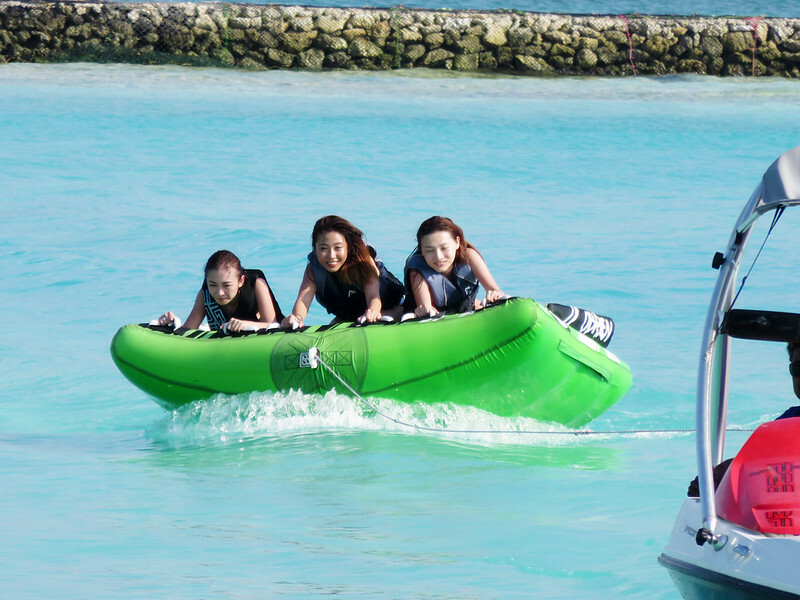 Play watersports activities like Fun Tube and Stand-Up Paddle. 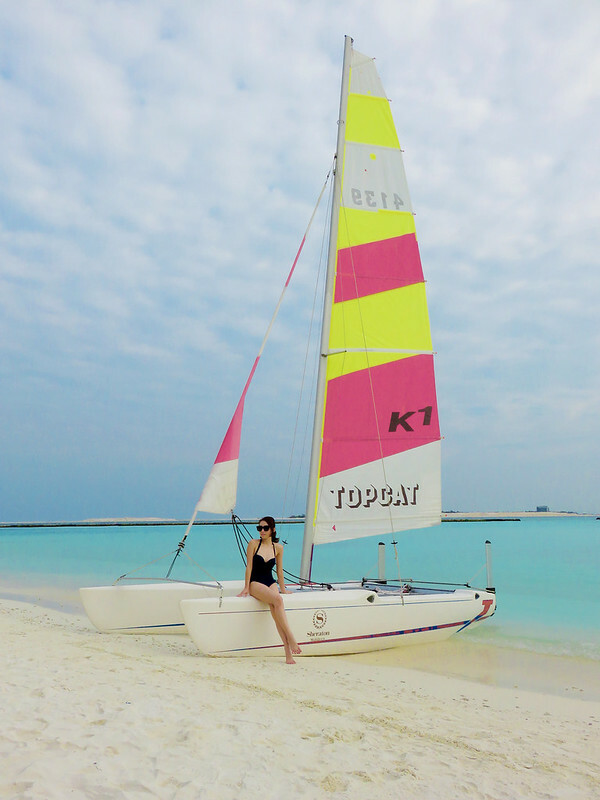 It is really fun to engage in watersports offered by your resort on its private island. And these activities are best enjoyed with a bigger group of friends like for myself. There were complimentary activities like Stand Up Paddling and Canoeing. Fun Tube was like an insane banana boat ride played lying on your stomach. What made the activities even more fun was the company. Imagine us trying to flip one another off the Tube while we are being pulled behind a high speed boat and then trying to topple one another at Stand-Up Paddle. We were going at high-speed but love how the PowerShotSX700 HS managed to capture a clear shot of us, even from a distance! 4. 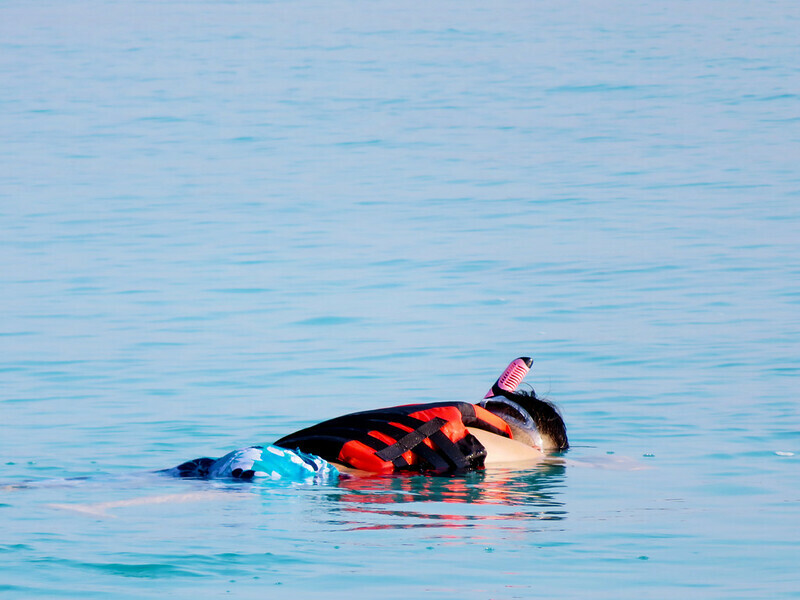 Rent snorkeling equipment and swim out into the sea to explore the seabed on your own. I don't know about you but I have a morbid fear of odd looking fishes swimming near me but heck, you only live once. Our resort had complimentary rental of snorkeling equipment so we decided to do some exploring of our own! No doubt...the fishes around our vicinity wasn't as beautiful or bountiful as that seen in the coral reef but we still did see some pretty, translucent ones! Since I didn't manage to bring my camera in for snorkeling, allow me to use this man as an example. Till now, I find these two photos pretty hilarious. Had so much fun with the zoom on the camera. 5. Visit an isolated island and spend alone time there. This is one activity I really wanted to experience but didn't have the chance to. It's where they actually bring you out of the resort to a sand bank for you to chill in isolation. Sadly, at this time of the year, the sand banks are completely submerged in the sea :( Now you know. Well, I just want to be able to enjoy peace and quiet on my own out in the middle of the ocean and damn am I willing to pay bucks to get the world out of my sight. 6. 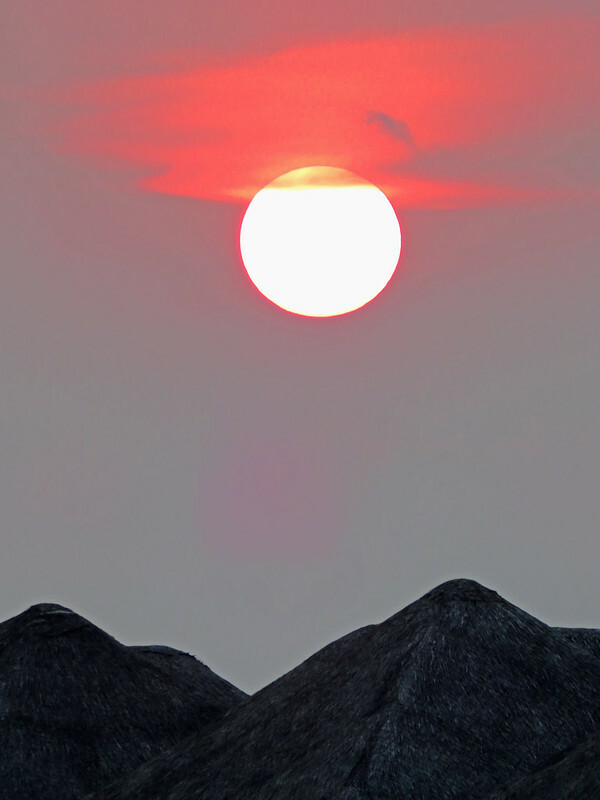 Find a cosy spot on the beach and snap beautiful photos of the sunset. 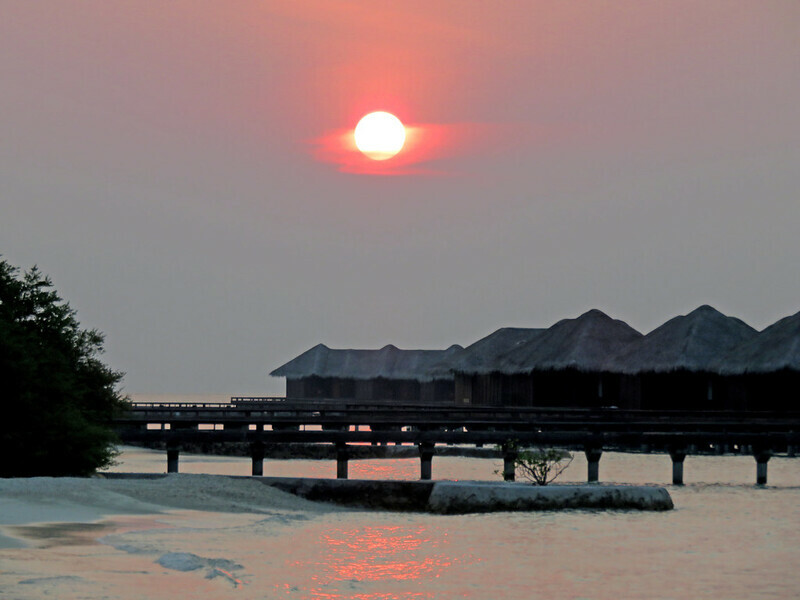 Lastly, I would say the sunsets at the Maldives were so beautiful. We managed to catch this gorgeous sunset clearly on the first day. If you are lucky, you get to see cotton candy colored skies ;) The sun sets pretty fast though so make sure you set yourself up in a nice place with a clear view to be able to catch it. This trip was a really good break from all the buzz in Singapore. Again, I'm really thankful to have been able to go for it. 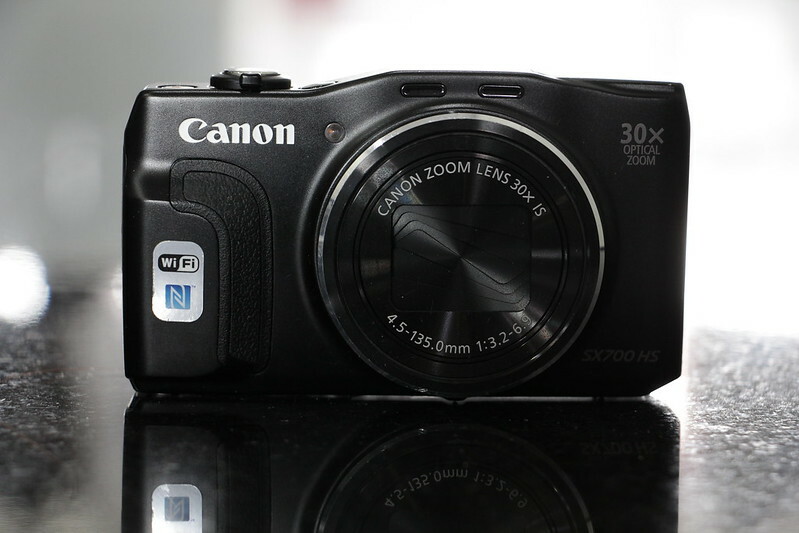 A big thank you to Canon for the PowerShot SX700 HS. I would not have been able to capture such alluring shots if not for the camera. Do you love traveling and do you want to capture your own set of great travel shots? Here's your chance to win your very own travel buddy! Ensure you Hashtag #TravelWithPowerShot to qualify. Contest ends on 15 May, 2359 pm. Check out this website to see all the other submissions!